Posted January 30, 2019 by Sarah Lederle & filed under . 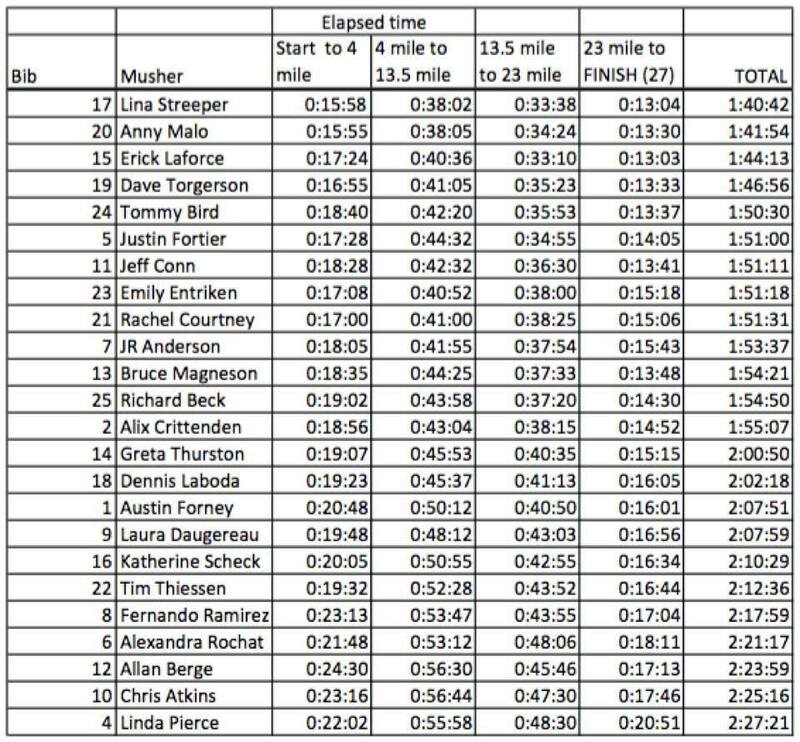 These split times are really starting to show little differences that turn into a big day for mushers as several of the races within this race really begin to get cooking with only two more legs to go. Tomorrow will be a travel day to Driggs, ID, giving all the teams an extra boost. I know each team will be studying their competitors’ split times to analyze and find a strategy. So go ahead, get out your pencil and place your bets on your favorites. I just can’t pick one.